Body contouring is becoming a common phenomenon today with the onset of nonsurgical form of treatment to reduce weight as an alternative to surgery. In recent times cosmetic weight loss procedures has been gaining momentum. To look good and slim is de rigueur today, as well as the sign of wellness. In earlier days people suffering from overweight issues had to go under knife to cut flab. To go under knife means anaesthesia, undergoing surgery, long recovery period and more side effects from sedatives. All these are becoming a thing of the past with cryolipolysis. There is virtually no recovery time and the person undergoing treatment can return to normal activities soon after treatment is concluded. 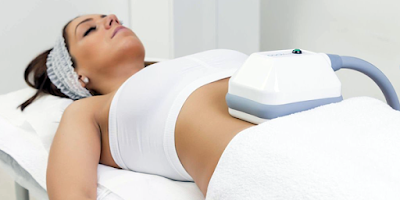 Cryolipolysis also called cool sculpting is the process eliminating stubborn fat that refuses to go from the body. The procedure which is FDA cleared involves inducing controlled cooling to eliminate fat that refuses to go through diet or exercise. The device targets the fat cells underneath the skin. The targeted fat cells after cooling are crystallized or frozen. With time, frozen cells die and the dead cells are eliminated from the system by natural processes. The results could be enhanced if multiple sessions of cryolipolysis treatment are accompanied by body massage. Sparha Advanced Wellness Studio boasts of state of the art wellness studio in Bangalore. Sparha has become a synonym for beauty and wellness solutions and is the most favored destination for cosmetic treatment in Bangalore. Equipped with cutting edge technologies and an array of qualified experts in cosmetic treatment they are the most sought after name in the wellness industry.